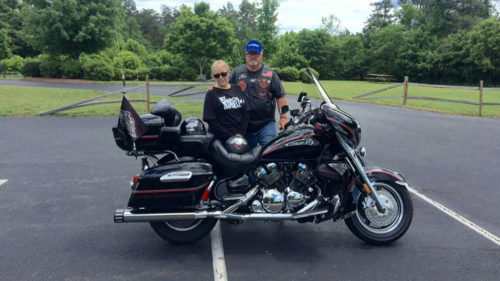 Our current members are ages 20 to 65 who share a love of motorcycles in a Christian environment. We hold weekly fellowship rides, charity rides, weekend trips and outreaches for Christ around the hub of motorcycling. If you are a licensed rider and have access to a motorcycle this a great group for you! Each affiliate group of fellowship riders is hosted by a local church. The national group holds a strict Christian code of conduct and have national SOPs, guidelines and rules that govern each affiliate group nationwide. Our groups involves themselves with local and personal evangelism, angel tree ministry, prison ministry, and expanding global evangelistic outreach to name a few. As fellowshipriders.org explodes world-wide with riders coming to Jesus worldwide. Our national mottos are "Powered by Christ" and "Start a rumble in your church". Nationally 98% of all motorcycle riders are unchurched. Here is our ministry field white to harvest.